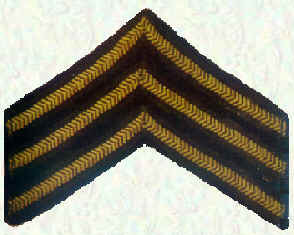 NCO ranks were adapted mainly from those used by the RFC. After WW2 new NCO ranks were introduced to differentiate between Technical and Non-Technical trades and between ground trades and NCO aircrew. Until 1950 all ground tradesmen wore the same rank badges, however in that year an additional rank structure was introduced and during this period there were two separate rank structures - 'Technical' and 'Command'. It was quite normal to move between the two structures while still being within a Technical trade. Introduced in 1918 as a trade classification. 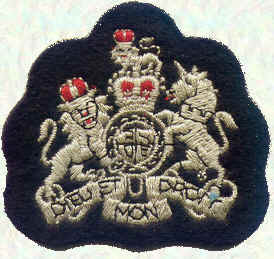 It became a part of the RAF disciplinary rank structure on 1 January 1951. 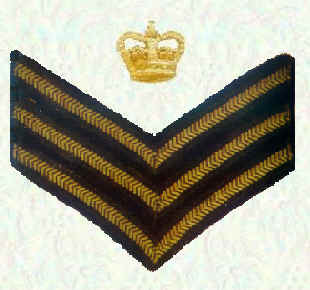 Senior Aircraftman /woman Introduced on 1 January 1951 as an intermediate rank between LAC and Junior Technician. 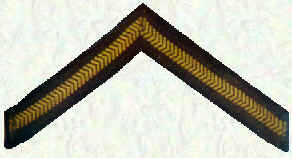 Introduced in 1950 as a new rank lower than Corporal. trades. 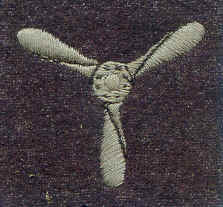 The rank was retained in 1964, but the badge was changed to that shown on the next page. Introduced in 1950 for Corporals in Technical trades. 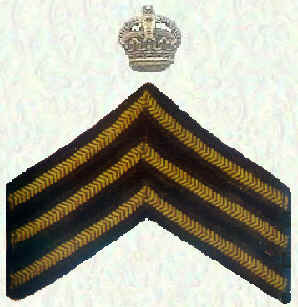 Corporal Technicians reverted to traditional rank badge in 1964. Introduced in 1950 for Sergeants in Technical trades. 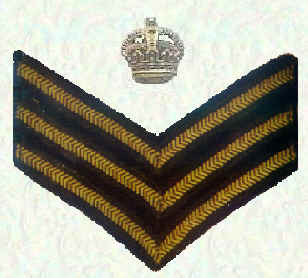 Senior Technicians reverted to the rank of Sergeant in 1964.
b) Introduced in 1950 for Flight Sergeants in Technical trades. 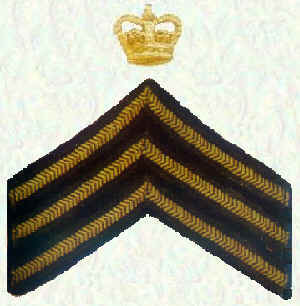 Chief Technicians were retained in 1964, but as a new rank between that of Sergeant and Flight Sergeant. Introduced in 1918 for all trades. Replaced by rank of Chief Technician in 1950 but re-introduced as intermediate rank between Chief Technician and Warrant Officer in 1964. Queen's Crown replaced the Kings Crown in 1952. 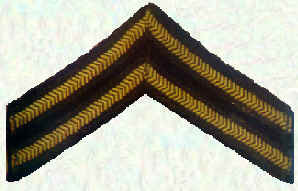 Introduced in 1918 as the senior Non-Commissioned rank. Became the only Warrant rank in 1939. In 1950 Warrant Officers in Technical trades were renamed Master Technicians. They reverted to the rank of Warrant Officer in 1964.